Olive oil is widely known for its wonderful health benefits, multiple uses, and for being a good source of healthy fats. Adding olive oil into your diet and using it as a healthy substitute for other dressings, dips, and spreads can be very beneficial. However, beware. Not all olive oils are created equal. 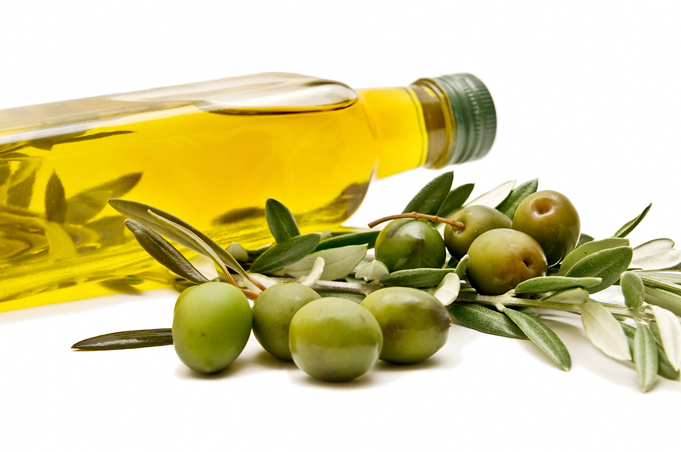 Olive oils are created through a fairly simple process wherein olives are pressed and the oil is extracted. However, “some lower quality versions can be extracted using chemicals, or even diluted with other cheaper oils” (Authority Nutrition). What you really want is extra virgin olive oil. True extra virgin olive oil (EVOO) is extracted using only pressure (no chemicals, dilution) in a process called cold-pressing. Extra-virgin olive oil has just 1% acid. It’s the oil that comes from the first pressing of the olives, and is considered the finest, having the freshest, fruitiest flavor,” Harlan says. Virgin olive oil also comes from the first pressing, and has about 3% acid. Light: an oil that has been filtered to remove much of the sediment (“Light,” in this case, has nothing to do with fat or calories. It only refers to color). Be smart: where is the oil coming from? How much does it cost? (Of course, quality cold pressed extra virgin oil is more expensive than those with chemicals and diluents). I get my favorite olive oil from my local Italian shop, and depending on where you buy it the cost is between $27-$32 for a 750 ml (25.36 fl oz) bottle. That may seem like a lot, but I use it mostly for dips and dressings, and one bottle lasts me a very long time. The taste is absolutely delicious. In the end you really get what you pay for.